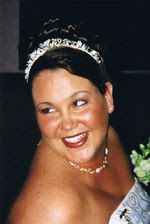 Melanoma Angel - Rachel's Story: There is Hope if You Let Yourself "Just Be"
Happy New Year to everyone! I've been off of the blog world for a while; God's plan for me has taken me to places I never thought imaginable about 5 years ago when my world fell apart after losing Rachel to melanoma. As we make our way into 2014, I want to share with you some advice learned through personal encounters and life events that I hope will give you hope; hope when you have encountered tragedy, loss, grief, frustration, sadness, or whatever painful experiences you have been faced with. Melanoma, and cancer in general, can rip us apart. It can destroy our faith in God, in medical professionals, and even in ourselves. To see someone you love dearly dying and not being able to do anything is crushing to the soul. Those of you who have read this blog over the last five years have seen the path that Rachel and I and her family have taken. You have seen the hurt, the loss, and the grief we have experienced. Thankfully, you have seen the blessings, the miracles, and the beauty we have also experienced due to our faith and love of God and one another. I implore all of you to take our experiences as well as the good and bad experiences you've had and make yourself a promise to always look for the positive. In the last five years of our lives, we have come so far, and our faith has been such a big part of that. Those of us who have been touched by Rachel's life and love and knowing that there is an angel looking out for all of us has been a guiding light leading us to where we are now, and continues to be a beacon leading us through the present into a bright future.You have heard me discuss our core values of Faith, Family, and Friends (those 3 F's! ), but here is something else that has kept me going since those dark times in 2009. That something I know as: Just Be. Shortly after Rachel's passing, Fr. Tim O'Neill, our pastor at St. Patrick's Catholic Church in Hubbard, OH, talked with us and told us what it means to "Just Be". Father Tim has brought the concept of "Just Be" to many people via his homilies and sermons in church and I even read about him discussing this years ago as a young Jesuit Priest to a young athlete from reading the biography of a local world champion boxer, Ray Mancini, called "The Good Son" by Mark Kriegel. What a simple, yet powerful statement that is. Just Be. Two words. One sentence. Many meanings. Just Be. Have you ever just sat somewhere and taken in what is all around you? Smelled the air, looked at the scenery, thought about what is good in your life? How many times do you focus on the negative and what worries you have? When you try and Just Be, you take a break from all of those external stressors and focus on what good is in your life. You have heard me discuss miracles in previous posts. I'll say this again: Most miracles that we experience we are blind to because we are not looking for them or we don't consider them miracles. We are looking for the "big story" miracles; you know, the ones that you read in magazines and newspapers. We fail most of the time to see what miracles are happening because we can't see the forest for the trees! Just Be. Give yourself time to sit back and relax. Close your eyes. Focus on the miracles that you have experienced today. The sunrise, your children, your parents, the love people have for you - these are commonly missed miracles! Let the good in your life (I promise no matter how bad things may be there are positives there!) take over your mind. Focus on how no matter how hard things have been for you, you have made it through, although maybe scarred or injured emotionally or physically. Your being here through it all is a good example of the concept of Just Be. Five years ago, I was a man who had lost his way in life, through the tragedy of losing his amazing and beautiful wife. I had lost my way and had no compass to guide me through life. I was a ship without sails caught in many turbulent currents surrounded by heavy seas and torrential storms. Many of these storms were of my own creation. I tried so hard to make things right, to re-create my life to make it the way it was. I never heard of the "Just Be" concept. I was more of a "Just Try" or "Just Maybe" sort of guy. I made some rash and sometimes horrible decisions. It took a strong faith renewed by my brothers and sisters in Christ to give me a compass. It took the concept of "Just Be" to give me my sails. I realized I am part of something bigger. I am in the world. I am one of God's children. I am a miracle. I am surrounded by miracles. I am me. I am a gift. I have been blessed with countless gifts. I have faith, faith that can carry me through the depths of hell! Deep breath, and there I am, doing just what God wants me to be in Him, with Him, and through Him. Just Be. Now as I make my way forward with all of you, my family and friends, I look at the importance and the impact of Just Be in my life. I have remarried; she is a beautiful woman who accepts and understands my past, and has an unshakable faith in God like I do, and her name is Kristy. I have just witnessed the birth of our first child, a young girl we named Reyanne Beverly Possert. Life has not always been easy. It is sometimes very hard. But here I am, and here we are. Join me in this beautiful world full of miracles and realize that in order to lose ourselves in the good in our lives and move forward through the hard times, we must sometimes Just Be. I wish all of you blessings and miracles in your lives. You are a miracle, you are loved. Just Be.